If you want to secure your comfort when the cold season arrives, you should give great importance in keeping your heating system in the best condition. 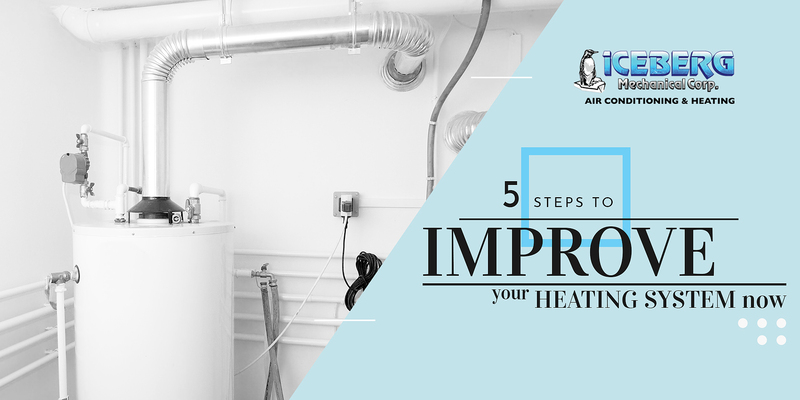 Here are 5 helpful steps that you can do to improve your heating unit’s performance. Do not wait for the winter season to arrive before you schedule your annual maintenance service for your heating system. This will be your assurance that your unit is ready to face the heating demands of your home. The technician will go over the details of your device, assuring you that the parts are in good condition. There are lots of benefits that you can get from a maintenance service. Aside from saving you cash from costly repairs, it also improves the efficiency of your unit and gives you peace of mind during the long cold days. If you have radiators at home, it is important to “bleed” them to move the air out. It should be done in the early days of the fall while the temperature is still manageable. For forced-air systems, furnace filters should also be cleaned or replaced every 1 to 3 months. How often should you do this will depend on the condition of your home and HVAC system. Filter replacement is crucial in your unit’s operation, as it promotes proper airflow inside your home. You can save energy and boost efficiency if you make your unit smarter and you can start this by upgrading to smart controls. A programmable thermostat works best with your heating system in keeping you feeling comfortable and improving your savings. There are also smart thermostats which will allow you to manage the setting through your smartphones. Ceiling fans are not only helpful in the summer. By reversing the direction of the fan, it helps circulate the heat throughout your home without cooling it. The warm air that is trapped within the walls is pulled upwards and distributed to the different parts of your home. Keep appliances and furniture at a certain distance from the furnace to draw in and exhaust air properly. Doing so will also reduce the risk of fire. Is your heating system ready to keep you cozy and warm this season? Take this simple advice from our professionals at Iceberg Mechanical. We are just one call away if you need assistance. Feel free to contact us!